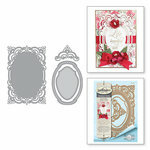 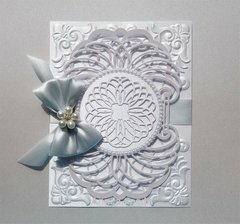 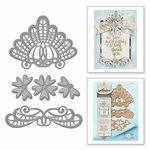 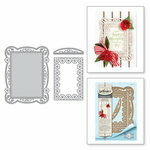 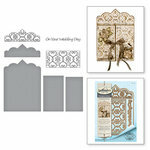 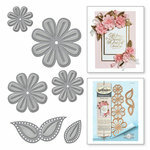 Create unique cards with the Marcheline Plume Die Set from the Venise Lace Collection by Becca Feekin for Spellbinders. 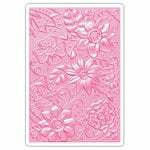 This set is compatible with most die cutting machines (sold separately) and is designed to cut, emboss or stencil with a single die template. 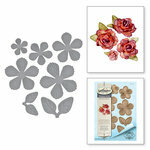 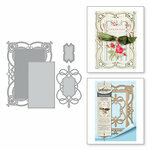 The package includes 3 thin metal dies that measure from 2.85" x 2.8" to 4.85" x 5.9". 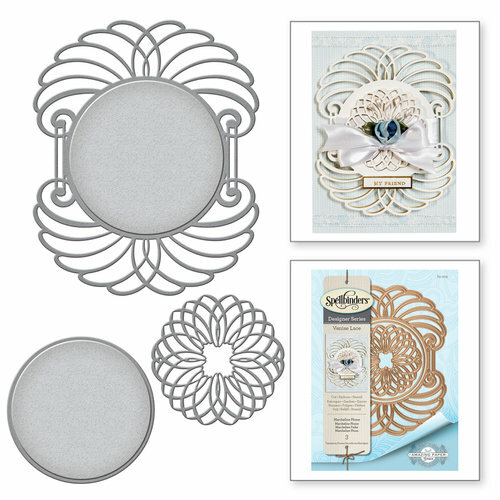 The included dies are a solid circle, a plume and a circular shape with an intricate geometric cutout. 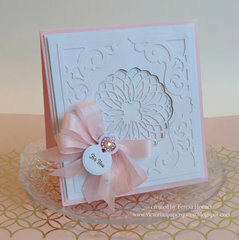 This die makes outstandingly clean sharp cuts. 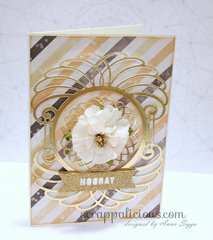 Since the die is a bit intricate, I always use a Sizzix Precision Base Plate when cutting it.